Want color and drama in a water efficient garden? Consider Echium. At 6-8 feet tall when fully grown, their big spikes are like flower towers in a garden. With them in the picture, there is no chance a garden is plain and dull. 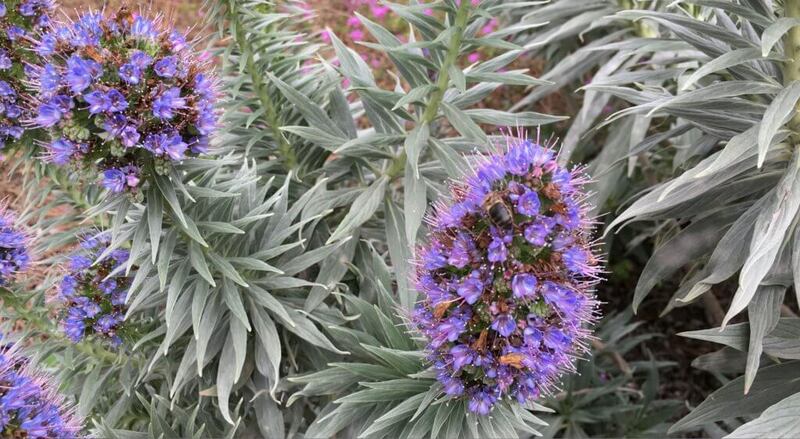 Echium originates from North Africa and nearby islands in Atlantic Ocean. They are well adapted to the climate there, and are drought tolerant. 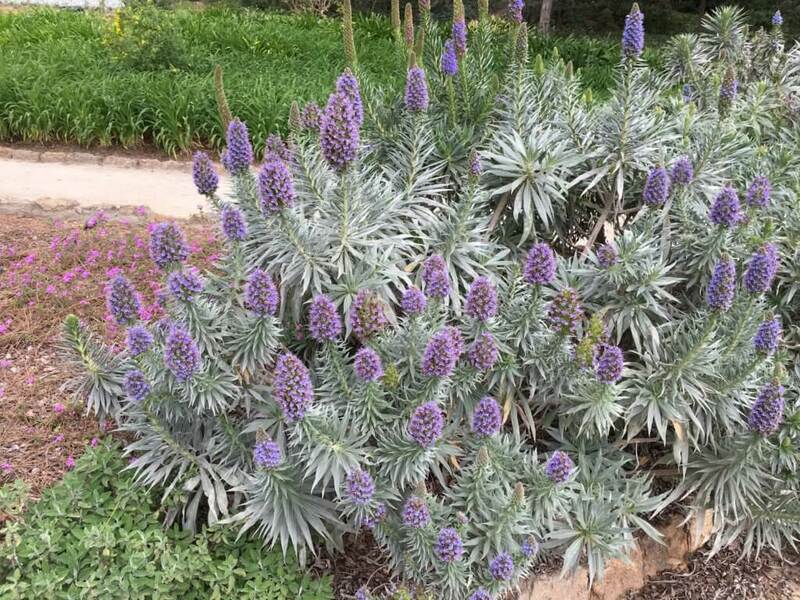 The type of Echium that we see most often, as in the picture above and below, is called “Purple Tower Echium”. 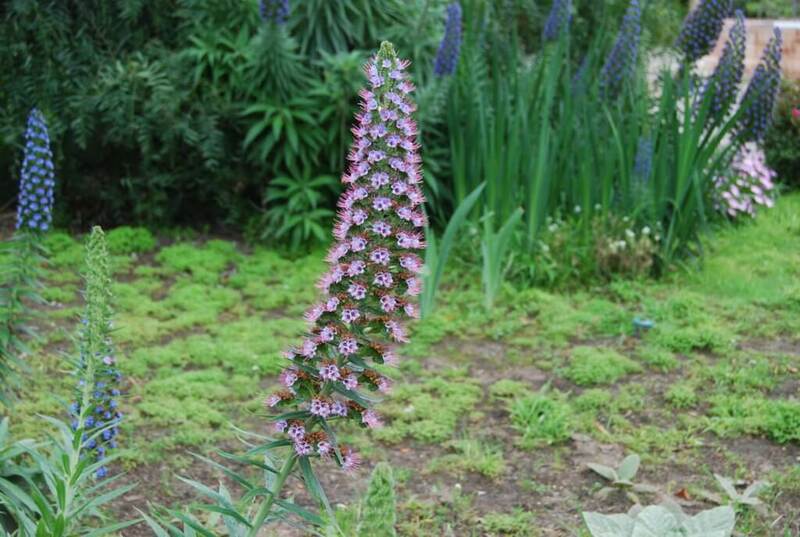 Another type we can see is “Tower of Jewels”, which sports pink flowers, instead of the purple blue ones of “Purple Tower Echium”. Both types are drought tolerant, and qualify for Santa Clara Water District’s Landscape Rebate Program. Once established, they need only a little water. 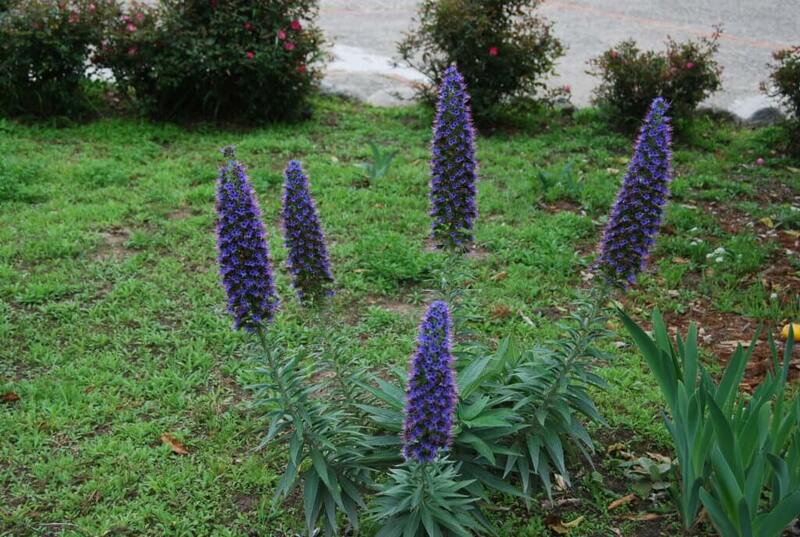 This is another type of Echium, “Pride of Madeira”. It originates from the island Madeira, off the northwest coast of Africa (Madeira is part of Portugal). 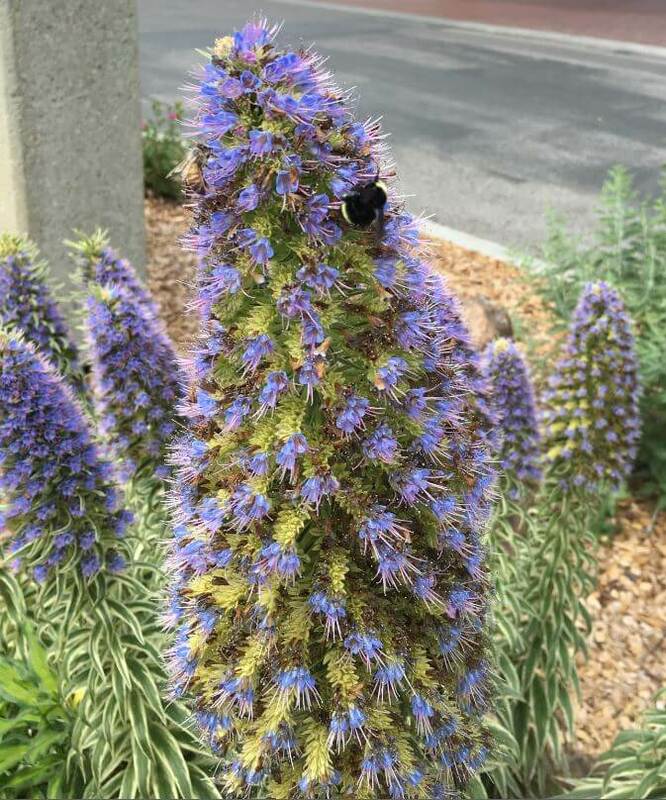 Echium’s flowers attract bees, making it also a great choice for a bee garden. If you want to build a garden that attract bees, birds and butterflies, this is one of those plants! 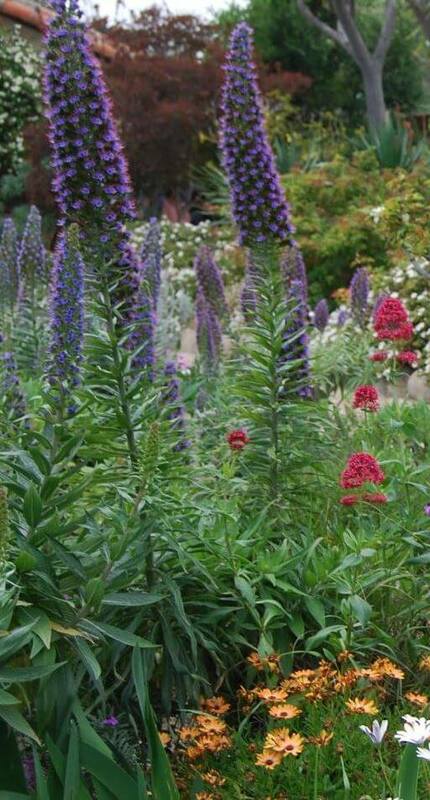 Echium can grow to be very tall and wide, so plan for a rather big pocket of space. Plant them in a group, match with other medium and low height plant groups. The grouping will also make it better for bees if a bee garden is desirable. The bloom time is from spring to summer. Full sun is required. Water until establish, then only very little watering is needed. 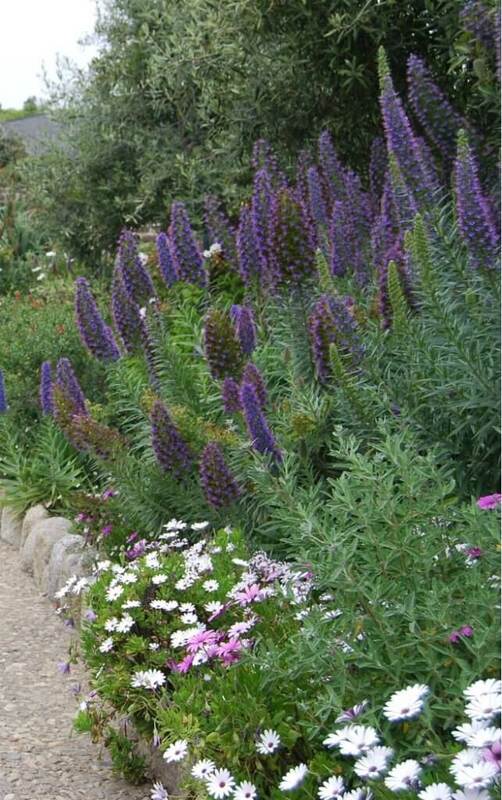 So, if you are planning for a water efficient garden, and have quite some space, if you enjoy those bold colors and tall towers, you can choose some “Purple Tower Echium” or “Tower of Jewels”!